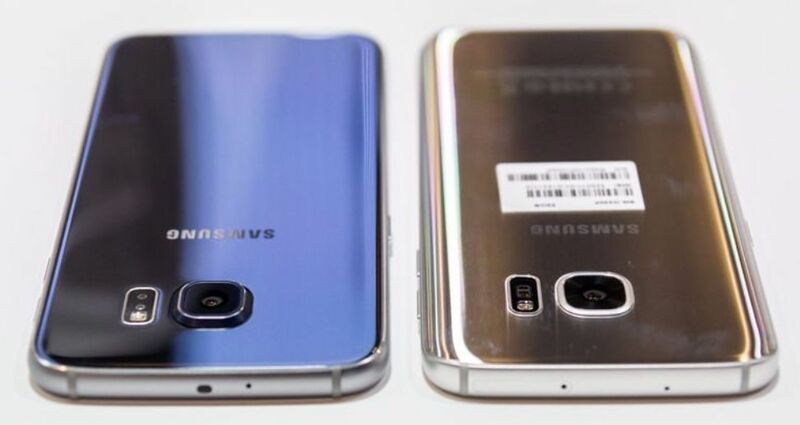 Samsung generally releases its phones at MWC or at its own dedicated events later in the year. If Samsung is planning to unveil the Samsung S9 at Mobile World Congress or MWC, we should see this in February 2018. If Samsung decides to do what it did earlier this year, however, and release the S9 at its own event, expect to see it in March or April of 2018. Judging by the release date of the S8, the latter seems most likely. The Samsung Galaxy was pretty expensive when it was released, even for a flagship phone: at £689, it was bordering on iPhone territory. But if you’re hoping the S9 will be cheaper, you’re probably going to be disappointed. The Samsung Galaxy S8 has been a huge success at the current price point, so Samsung has no reason to reduce the price of the S9. What’s more, it’s very unusual to see a manufacturer reduce the price of a new handset – usually the RRP just goes upwards with each new release. The Galaxy S8 is probably one of the best phones we’ve ever tested. It’s fast – as you’d expect from a Samsung flagship – but it’s also pretty gorgeous. Samsung has given the S8 an incredible edge-to-edge screen with great contrast and colour, and the entire phone looks very slick, to be honest. It’s fast too, because underneath its svelte exterior, the Samsung Galaxy S8 uses a speedy Snapdragon processor. Put that all together, and the S8 is one of the best phones we’ve ever tested – but Apple is already working on the iPhone 8 even better. 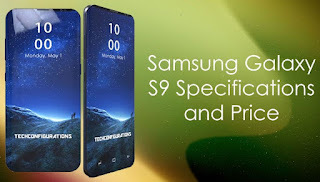 We don’t know much about the S9 at this point, but if we look at the S8 we can piece a few things together. So here’s what we know about the Samsung Galaxy S9. What are the rumored new features and specifications of the Galaxy S9? Samsung reportedly began working on the Galaxy S9 in late March 2017, which would mean it is already six months ahead of schedule compared to where it was with the Galaxy S8 and S8+ last year. And that means more time for quality control, more time for building in new features and, hopefully, more happy customers. Amazingly, in July 2017 an early version of the alleged Galaxy S9 was spotted in the Geekbench database - that's some seven or eight months before we expect to see the phone announcement. A device with the model name SM-G9650 is listed with a 1.78GHz quad-core Snapdragon 845 processor and just 4GB of RAM. It scored 7371 points in the Render Script test, which is lower than the Galaxy S8 managed in the same test. There are no performance scores. 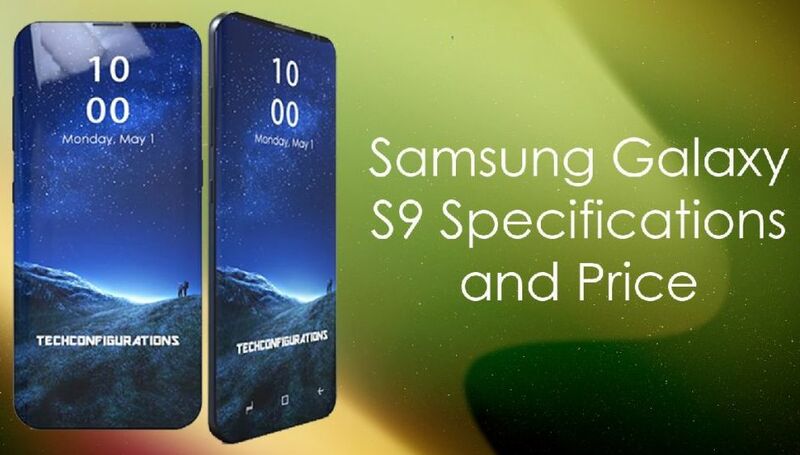 An unnamed source suggests the first work on the Galaxy S9 began with the screen, and that there is not expected to be any change with the sizing: so we’ll see a 5.8in Galaxy S9 and 6.2in Galaxy S9+. The Bell reports that Samsung has already ordered these screens from suppliers, but with one key difference: they will feature the in-display fingerprint-scanning tech that was rumoured for but never made it into the final spec of the Galaxy S8. We’d expect to see the same 2960x1440, 570ppi, Super AMOLED ‘Infinity’ panel on the S9, and another 529ppi panel on the S9+. Given that Samsung by default limits the screen resolution to Full-HD+ (2220x1080) in the Galaxy S8, we really don’t think it will push up the resolution up to 4K. It is possible that despite keeping the same dimensions and resolution the display technology itself could be improved. Samsung is reportedly using screen tech codenamed ‘Sunflower’ for the Galaxy S9 - it’s still Super AMOLED, but should improve display fidelity and be more consistent and reliable. The new virtually full-screen 18.5:9 ratio will also likely remain, as will features such as the always-on display and edge functionality. According to Aju Business Daily, Samsung is in talks with Qualcomm to help it build the Snapdragon 845, which could be the chipset onboard 2018’s Galaxy S9, plus other flagships. However, it says Taiwan’s TSMC is in the running as well as Samsung (TSMC is responsible for Apple’s A11, another 10nm chip). The 10nm Snapdragon 835 Samsung helped Qual comm to manufacture was 27 percent faster and 40 percent more energy-efficient than the company’s previous 14nm chips. The upcoming Snapdragon 845 is said to be built on the 7nm manufacturing process, and will be even faster and more efficient than ever. Despite holding the exclusive on the Snapdragon 835, in the UK the Galaxy S8 and S8+ are sold with Samsung’s own Exynos 8895. It’s rumoured that the UK variants of the Galaxy S9 and S9+ will come with an 8nm Exynos processor, possibly the 9810. You get 64GB of storage as standard with the Galaxy S8, along with microSD support. That’s already quite generous, so we’re not expecting to see any changes here. Something we might see in the Galaxy S9, though, is for Samsung to finally push up the RAM allocation from 4GB to 6GB. This is by no means out of the question, with some phones that are now a year old offering this amount of memory. It would also help it in its quest for ever-increasing performance. It is doubtful that we will see much difference in battery capacity for the Galaxy S9, given that the size of the phone is not expected to change - you can only cram in what you can cram in, and Samsung will want to be careful following the Note 7. Fast charging - both wired and wireless - will likely feature, though we suspect Samsung will continue to use its own Adaptive Fast Charging tech rather than the Quick Charge built into Snapdragon processors. Samsung traditionally leads the pack when it comes to new smartphone features, so we’re somewhat puzzled by the fact it has yet to introduce a dual-camera. Nevertheless, one is tipped for the upcoming Note 8, and if that happens expect it to feature in the Galaxy S9 too. Samsung’s Note 8 is thought to be getting a 12Mp dual-lens camera with OIS and 3x optical zoom. We’ll know more in August when that phone is unveiled. Samsung introduced USB-C rather than Micro-USB for the Galaxy S8, though it didn’t follow the likes of Apple in removing the 3.5mm headphone jack and relying on wireless or USB-C audio. There is a danger it could take that plunge this time around, though nothing has yet been confirmed. One change we would like to see in the design, and something we hope Samsung will take into account following significant consumer criticism, is the awkward placing of the rear fingerprint scanner. It’s not so much being on the back of the handset that offends us, but how it is wedged in beside the camera as if it were an afterthought. The Galaxy S9 could be the phone in which we finally see the fingerprint scanner built into the screen glass itself. Qualcomm has announced Qualcomm Fingerprint Sensors, a new ultrasonic technology that allows fingerprint-sensing tech to be built directly into a phone’s OLED screen. It also works in glass and aluminium. Less revolutionary alternatives might include the scanner taking a more central position below the primary camera, or Samsung taking a leaf out of Sony’s book by building it into the power button on the edge. Or maybe Samsung will go all in with iris scanning. To be fair, any of these options would be preferable to what we have now. We’re expecting the final version of Android O to be revealed in September or October 2017, with the next version - Android P - not due until the same time next year, well after the Galaxy S8’s anticipated announcement. It’s therefore almost certainly the OS you’ll find onboard the S9 and S9+, albeit with the Touch Wiz UI on top. Samsung also introduced the Bixby AI assistant in the Galaxy S8, which we would have thought would have only got more intelligent for the Galaxy S9.